I love John C Reilly and his performance is outstanding. Steve does a fantastic job as Stan LAUREL. If you enjoy Laurel and Hardy then this is a must see. Wonderful movie about Friendship! Loved it. We need more quality movies like this about legends of our past. Thank you!! Just finished watching Stan and Ollie - one of the best films i've seen in a LONG time. 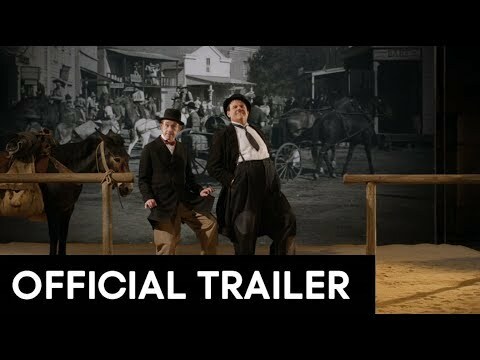 I laughed, I cried like a baby - it's just pure joy and the performances really captured Laurel and Hardy without EVER feeling like imitations - you get lost and it feels like it's actually them. 10/10 - HIGHLY recommended. Wow an actual movie about real people! I'm so bored of the juvenile comic book adaptations it's shocking when something is released designed to appeal to adults. Great, great film. Amazing acting and the sets are spot on.